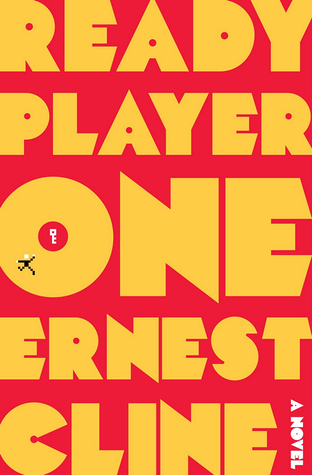 Ready Player One is one of those books that is so hyped that I was afraid to read it. Everyone said that it's the perfect book for lovers of pop culture and geekery. Luckily, it lived up to the hype. Such a fun story. Cline builds a rich, detailed word both in and out of virtual reality. Real life is your typical futuristic dystopian. The world is falling apart, massive poverty, pollution, etc. But Oasis, the virtual reality world was incredibly cool. It can be anything you want. You can replicate The Lord of the Rings or hang out with your friends at a mall. You can even go to public school. The beginning of the book goes relatively slow, because there is so much world building. This frustrated me at times because I was dragging along. However, I think it pays off. It gives us a firm understanding of the world that Wade is living and playing in. I particularly liked the descriptions of Wade's high school and how it works online (which is good, because there's a lot written about it that isn't really relevant to the story). Wade is a typical hero. He is smart, snarky, and brash. He's an orphan with a chip on his shoulder because of his difficult family life. He sticks to his convictions and is (for the most part) loyal to a fault towards his friends. If anything, Wade is too perfect. He makes a few wrong decisions, but mostly everything he does is right - both in the sense of playing the game and ethically. He would be more interesting as a more layered character, but I was so invested in the story that I didn't care as I was reading. This book is steeped on 1980s pop culture. Mostly movies and video games. Unlike most people my age, I haven't watched many 80s movies and don't play video games. I still caught onto much of the nostalgia having been a young child in the 1980s, but I don't think I appreciated the retro feel as much as others. The last third of the book flies by. As I said above, it takes awhile for the quest to get beyond the world building and the introductory steps of the journey. But once it does, the book is one of the most compelling things I've read in a long time. Wade and his friends H and Artemix face both virtual and physical danger from the evil Sixers. Time is of the essence as they race to get all the keys necessary to solve the contest that will give them control of the most powerful feature in their lives. Ready Player One is apparently being made into a movie by Steven Spielberg. The book already reads like a film, so I can't wait to see it. Despite a slow start, Ready Player One is highly readable and entertaining. It will keep you at the edge of your seat. I do love snarky main characters, even if it is a typical feature in books :) It sounds like a good book and I'm glad you enjoyed it. Nice review! I love it when a book actually lives up to the hype it receives! This one sounds excellent. Must. Read. It. Soon. I recently read this and loved it. I am a child of the 80's so that added layer was one of my favorite components. Glad you enjoyed it as well! I've been wanting to read this one but I wasn't sure if I was going to like it. I think I may try the audio especially if the beginning was a bit slow. Great review!